Set against the pastel pinks, yellows and gold of Mathura, people come to Vishram Ghat to bathe at the place where Lord Krishna is believed to have killed Kansa. It is the main ghat in Mathura; 25 other ghats surround it. 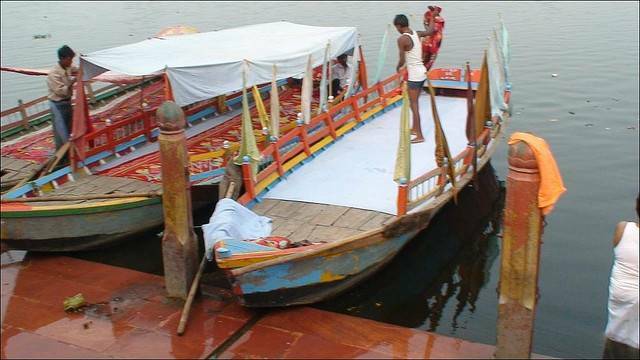 It is at Vishram Ghat where the traditional Parikrama starts and ends.